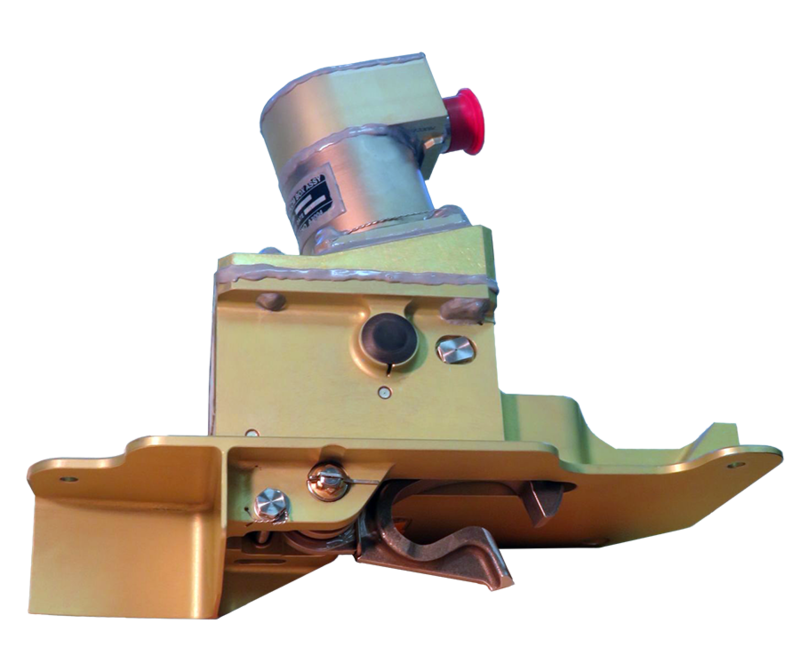 Pylon Locks are safety devices used to avoid the inadvertent deploy of thrust reversers in flight. The equipment is mechanically sized to withstand the relevant impact and aerodynamic loads. OMA has developed a fully electromechanical design integrating a spring-loaded hook, a solenoid actuator, a dual redundant position sensor, an electronic control module and an unlocking mechanism device manually actuated. Landing Gear Uplocks / Downlocks are latching devices utilized for retaining the Landing Gear and/or Landing Gear Doors in the ‘Up’ and ‘Down’ positions. 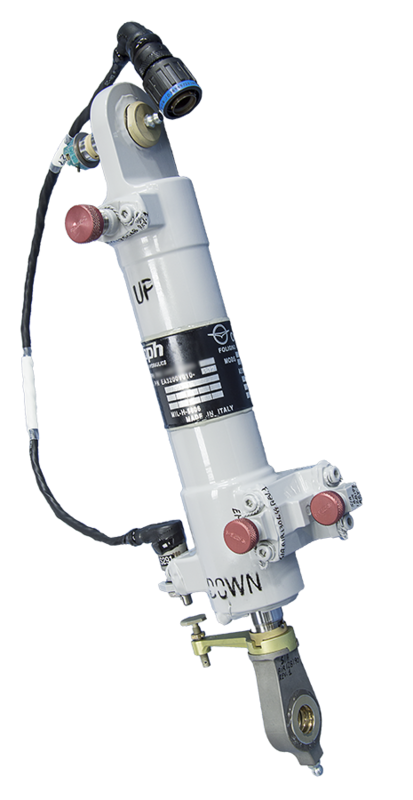 OMA is able to provide hydraulically actuated latching systems integrating also position indicators to communicate ‘locked’ or ‘unlocked’ status to the aircraft avionics. All contact surfaces are treated to minimize wearing along the service life.